Home Knowledge Centre Blog Can a notice period start during a holiday? Can a notice period start during a holiday? SJ Writes: I have an employee who has just handed in their notice whilst on annual leave, but they are not due to come back to work for another two weeks. Will this time be included in their contractual notice period or can I ask them to do the full notice period when they return from annual leave? Notice periods for termination for employment run from the start of the day after the notice was given. The employment contract continues to exist during annual leave and therefore, in your situation, the notice period will run concurrently with the employee’s annual leave period. Only the remainder of the notice period after annual leave has been taken will fall to be served by the employee. The employee will be entitled to receive holiday pay from you for the time when their annual leave coincides with their notice period. The actual length of the notice period is governed by what is in the employee’s contract of employment so you should look there to determine the employee’s exact leaving date. You also need to consider the legal minimum notice periods which will override what is in the contract in the event that the contract provides for less notice than that required by law. If the employee has not given the minimum amount of notice required by law, or by their contract, you should inform the employee of the amount that they must give and tell them that you expect them to work until their notice expires. If you choose to, you can agree to shorten the notice period but both parties must consent to this. 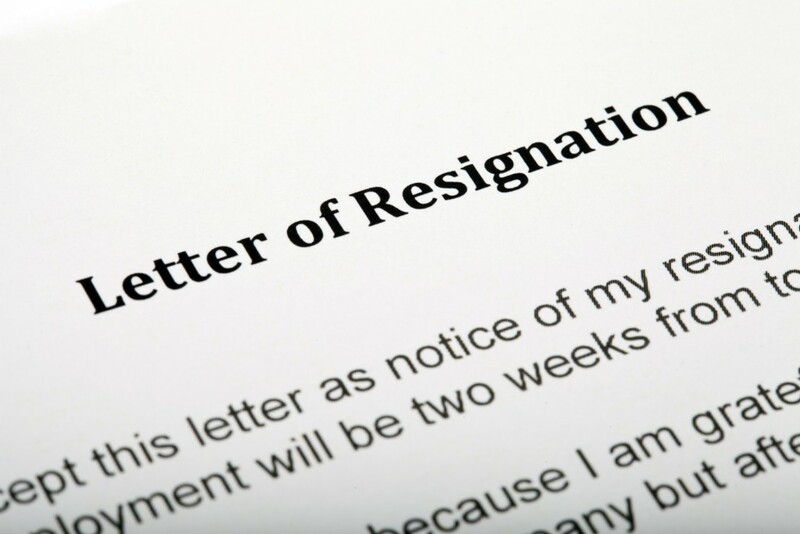 If the employee’s resignation will cause you particular difficulty because, for example, you will not be able to arrange cover for your busy period, you can speak to the employee to see if they would be willing to delay their termination date, effectively extending the notice period. If the employee has another job lined up then it may not be possible to arrange an extension, however, some compromise may be obtained if you, for example, offered an incentive to get the employee to help you out. If this happened, the employee would still be considered to be in their notice period for the entirety of the extension. Any agreements with the employee in this regard should be well documented in written letters so that there is clarity around the termination date and to avoid any confusion.